On Tuesday the 17th of April 2012, the Court of Appeals published its opinion in the case of People v. Koon. Reversing the District Court and Circuit Court’s rulings (which had previously held that unless the prosecution could show that the defendant was actually impaired by the presence of marijuana, the Michigan Medical Marihuana Act protected the patient from prosecution), the Court of Appeals held that regardless of the defense under the Michigan Medical Marihuana act, marijuana remains a schedule 1 controlled substance and therefore subject to the “zero tolerance” law under the Michigan Motor Vehicle Code. The Michigan Motor Vehicle Code forbids the operating of a motor vehicle with any presence of a schedule 1 controlled substance. Section 7 of the Michigan Medical Marihuana Act does indeed deny the Act’s protections to apply to the patient who operates while “under the influence of marihuana.” In Koon, the defendant, Rodney Koon who had a medical marijuana registry card, was pulled over some five to six hours after having smoked marijuana. The difficulty Mr. Koon faced was proving that he was not “under the influence of marijuana.” The Court of Appeals refused to adhere to the lower courts’ rulings that “under the influence of marihuana” require the prosecution to prove that the defendant was actually impaired while operating a vehicle. 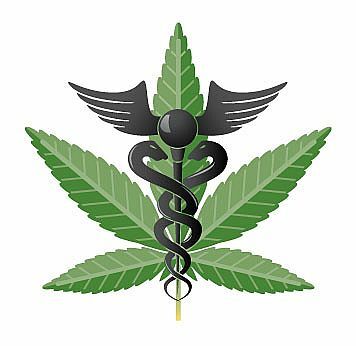 Unfortunately, the Michigan Medical Marihuana Act does not define “under the influence of marihuana.” Because of this, the Court of Appeals ruled, the Michigan Medical Marihuana Act does not conflict with Michigan Motor Vehicle Code. Because the Michigan Medical Marihuana Act does not conflict with the Michigan Motor Vehicle Code and marijuana remains a schedule 1 controlled substance, the “zero tolerance” policy of the Michigan Motor Vehicle Code applies all marijuana users regardless of whether they would otherwise have a defense under the Michigan Medical Marihuana Act because it remains a schedule 1 controlled substance. Thus, until the Michigan Medical Marihuana Act is amended to fill some of the gaps that have led to its criticisms (including a clearer definition of the phrase “under the influence of marihuana”); legislature reclassifies marijuana as a lower scheduled drug; or a higher court ruling reverses this ruling, the best course of action for medical marijuana patients is to wait until there is no active THC in your system until operating a vehicle. This can take over 8 hours of the medicine is smoked and even longer if it is ingested.